Diagnostic Molecular Pathology: A Guide to Applied Molecular Testing is organized around disease types (genetic disease, infectious disease, neoplastic disease, among others). In each section, the authors provide background on disease mechanisms and describe how laboratory testing is built on knowledge of these mechanisms. Sections are dedicated to general methodologies employed in testing (to convey the concepts reflected in the methods), and specific description of how these methods can be applied and are applied to specific diseases are described. 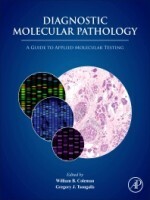 The book does not present molecular methods in isolation, but considers how other evidence (symptoms, radiology or other imaging, or other clinical tests) is used to guide the selection of molecular tests or how these other data are used in conjunction with molecular tests to make diagnoses (or otherwise contribute to clinical workup). In addition, final chapters look to the future (new technologies, new approaches) of applied molecular pathology and how discovery-based research will yield new and useful biomarkers and tests. Diagnostic Molecular Pathology: A Guide to Applied Molecular Testing contains exercises to test readers on their understanding of how molecular diagnostic tests are utilized and the value of the information that can be obtained in the context of the patient workup. 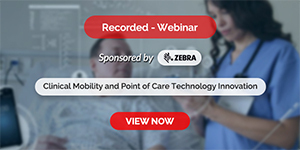 Readers are directed to an ancillary website that contains supplementary materials in the form of exercises where decision trees can be employed to simulate actual clinical decisions.